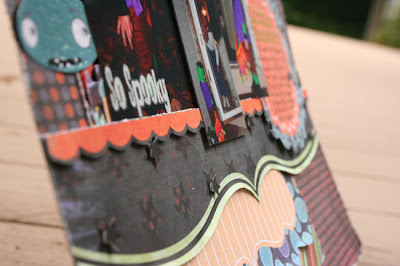 I have a couple more Fancy Pants projects to share that I created for CHA. 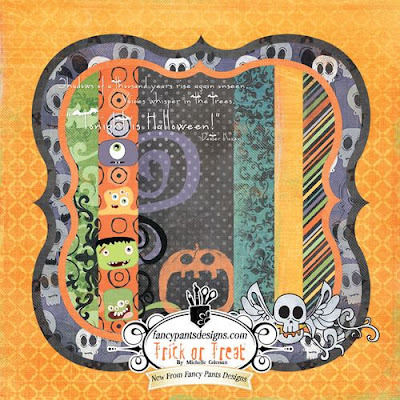 Trick or Treat is one of the five new lines, and if you love Halloween like I do, you will looove this line! How perfect are these little monsters for these photos of Noah on Halloween (when he was 2)? I cut those monsters out from one of the papers and heat embossed them with UTEE - love that effect. I cut out some black stars and layered them over the paper to add a bit of dimension. 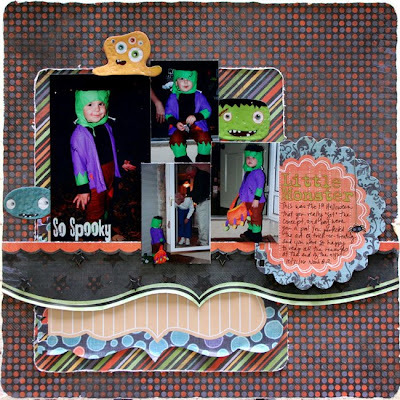 It's hard to tell from the photos, but I also popped up that orange scalloped border, the journaling page and some of the photos for dimension, as well. 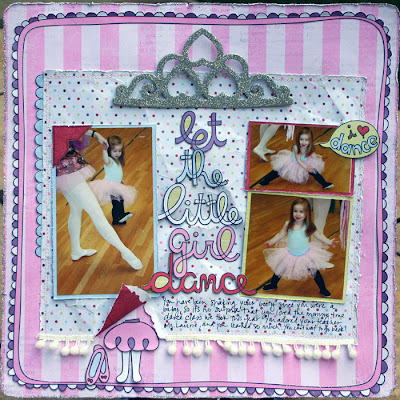 My last project used the new Dancing Girl line. I really truly think these lines were made for me, lol. This line was perfect for photos of Chloe in her dance class this year. I love all the girly colors and patterns - I can definitely use these photos for lots of Chloe pictures! We've had a busy week here which included lots of playdates and running around! One of the highlights from this week was going to a butterfly exhibit nearby. It runs every summer, and this is the third year in a row we have gone. I got some cool pics - i'll be back another day soon to share them! aw heck those are the most adorable pgs. !...ughh i love em both!!! those monsters on the top pg. are so cute!! oh!!! these are total cuteness!!! I have loved all your FP layouts, you do gorgeous work Staci! FP is very lucky to have you on their dt! Wow, you did such a wonderful job with these lines!! I especially love the second LO, the papers, the embellies, the pics of Chloë dancing (she looks soooo adorable), it's all just perfect! Love those lines girl and you did a awesome job with them!!! oh i need that halloween line!!!! all the new FP lines are so fun and you just totally ROCKED them!!! your style just fits their products to the T!!! I love these Staci! Super cute pics of the kids and Beautiful papers!!! Absolutely amazing work my friend!!!! I just love visiting your blog!! YOu always knock my socks off!!! have I ever told you that you have the cutest kids ever??!! love the new lines too and you're lucky you have a boy and a girl to work with!! lol --- great layouts girl! Super job with the Fancy Pants lines...bet they will be a big hit at CHA! Hope your busy week is a fun one and I'm looking forward to those butterfly photos. Bet they are awesome! xoxo L.
The new of Fancy Pants is amazing! !